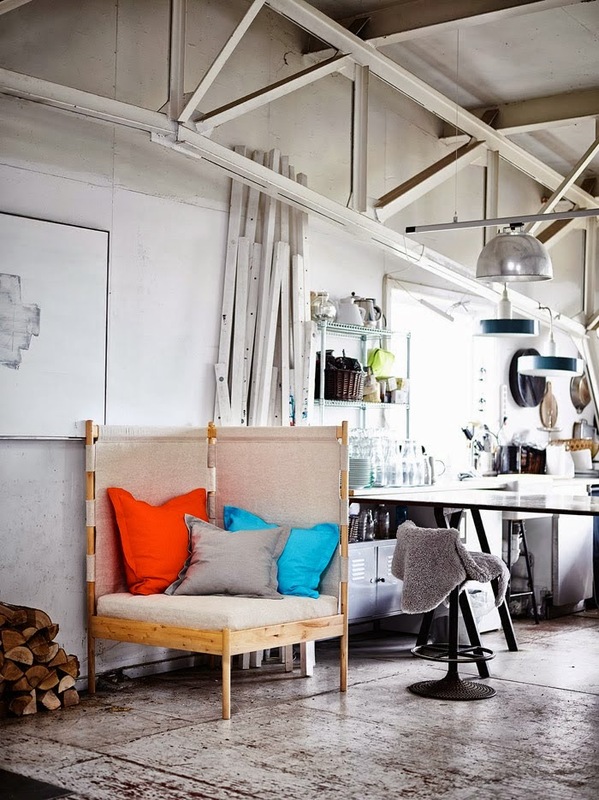 The Colibri chair by Markus Johansson for HandK, has the feel of an instant classic about it. Inspired by Nordic stick back chairs, the chair is fully customisable and comes with a choice of four bases, four backs and four armrests. Further, the chair can be personalised by covering the seat with either fabric or bonded leather. 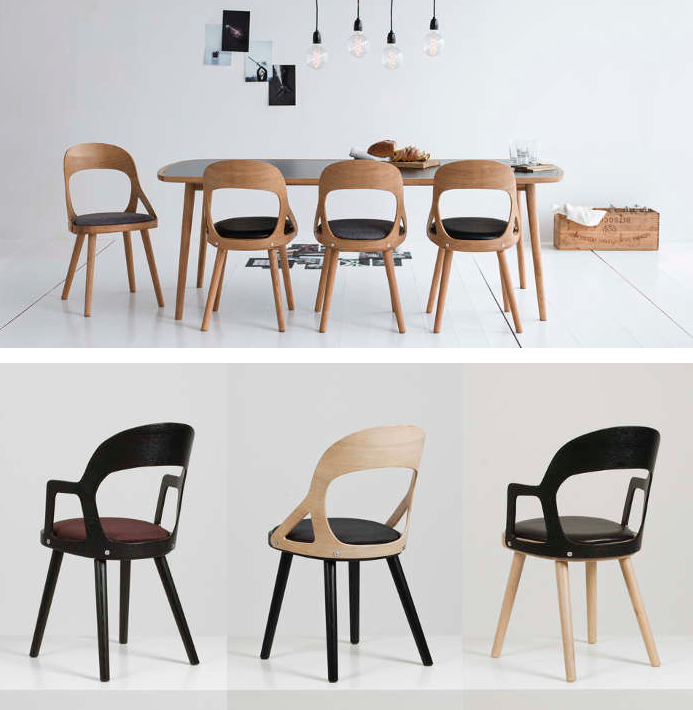 Even the wood from which the chair is made comes with a choice of four options: white lacquered birch, dyed black elm, oiled natural oak or blonde oak, ensuring that your never come across the exact same chair anywhere. 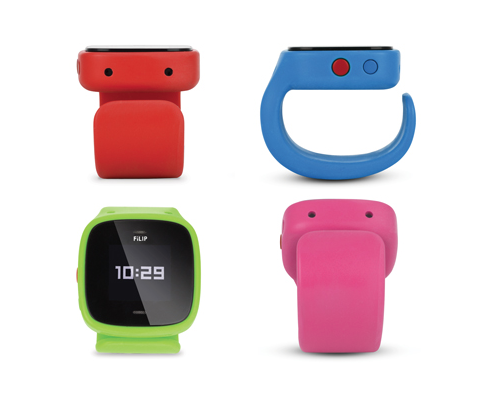 How adorable is this FiLip phone for children? It looks like a watch (and has all of the functions of a watch including time and date modes) but allows the wearer to make and receive calls from up to five pre-programmed numbers. As an added security function, parents can also track their child's location. FiLIP is built to withstand the everyday wear and tear of kids’ adventures and is water resistant to IP63 standards. Currently the FiLIP is only available through one US phone network, but this will hopefully change in the near future. 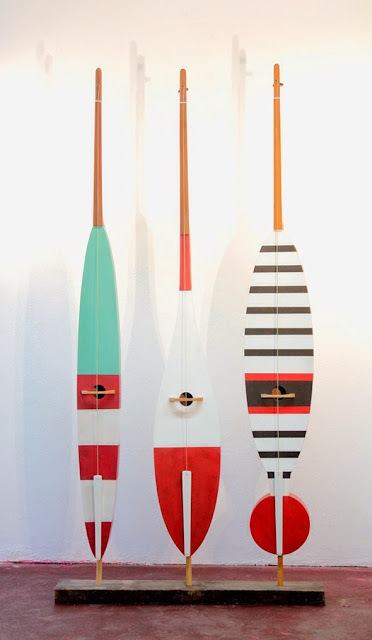 We love the graphic simplicity of Jeff Menzies’ sculpture called Floats which gives handmade fishing buoys a new life as "non-functional instruments". The objects create a ghostly sound reminiscent of tugboat horns. 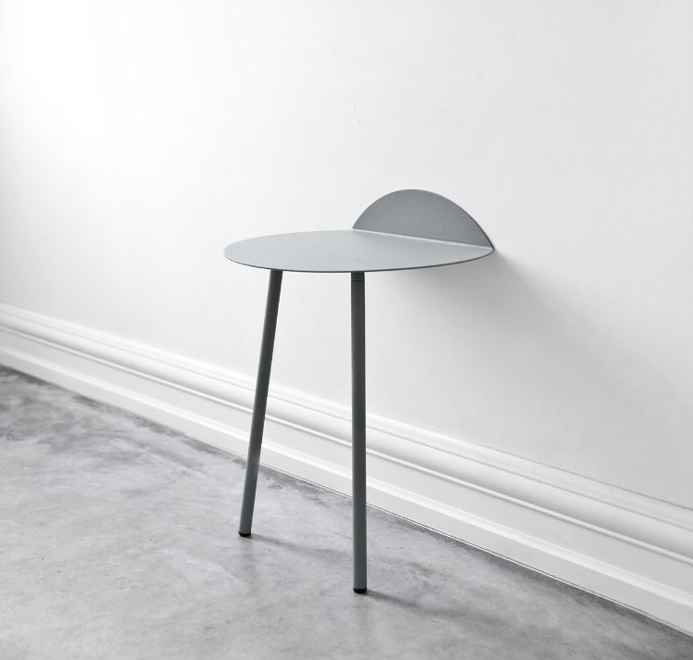 This minimalist yet striking table from designer Kenyon Yeh for Menu has a circular table top which is supported on two legs. Additional support comes by way of a wall or other vertical surface on which the partially folded tabletop rests. Available in a short or tall version, the Yeh table was presented at Maison & Object and the 2014 Stockholm Furniture Fair by Menu. 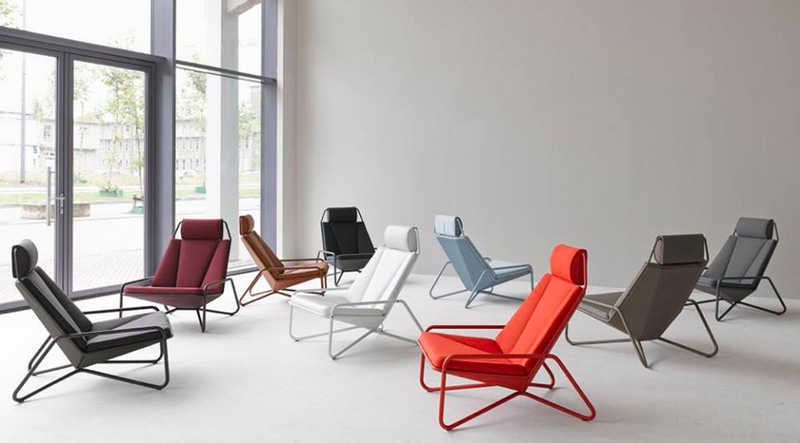 VIK is a lounge chair designed by Arian Brekveld for the Dutch design company Spectrum. Fashioned after a car seat, a light metallic pipe frame supports its comfortable seat which is made of either leather or fabric. The back- and head-rests are both adjustable for maximum comfort and the interior of each VIK is made of foam and hand-crafted in several layers. VIK comes a palette of nine colours. A broom that is pretty enough to keep on display? Why not if it looks as good as Swedese's Baffi broom which was designed by GamFratesi. The broom is available in natural lacquered beech, white lacquered beech or beech in a black lazur finish. 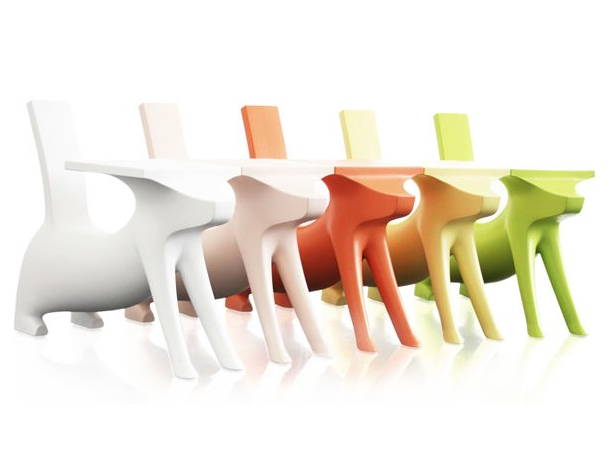 Le Chien Savant is a dog-shaped children's chair and desk designed by Philippe Starck. 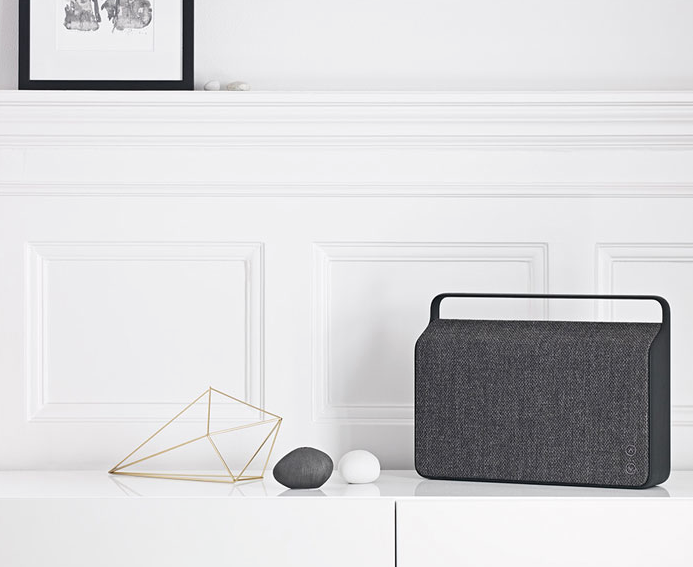 From Danish manufacturer Vifa, comes its latest device - a portable and wireless speaker known as the Copenhagen. The speaker has a simple and streamlined silhouette which is intended to help it blend into most environments. The speaker comes in six colours and is covered in fabric from the leading textile design manufacturer Kvadrat. 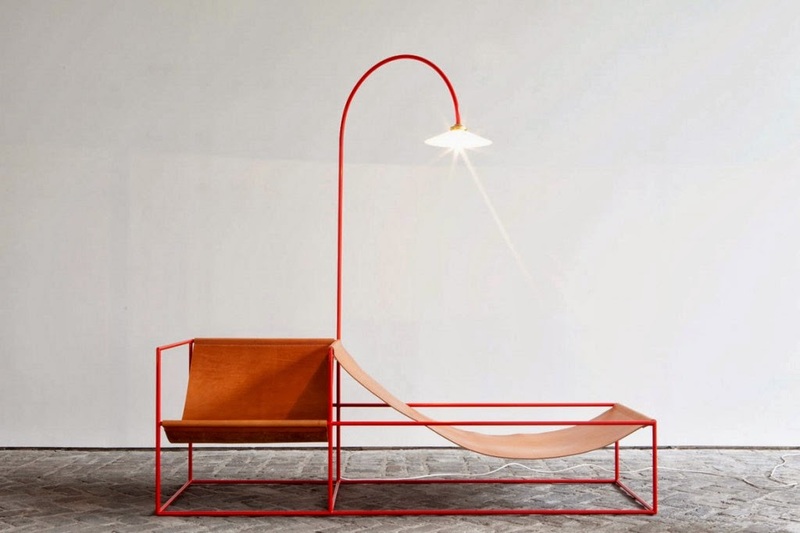 From designers Fien Muller and Hannes van Severen who operate as Muller van Severen comes this beautifully minimalist piece featuring a conjoined arm- and lounge-chair which both share the same light source. Our first introduction to artist Michael Walsh was the above-pictured sculpture We Did Nothing, one of our favourite pieces in the 2012 Biennial put on by the Bermuda National Gallery. 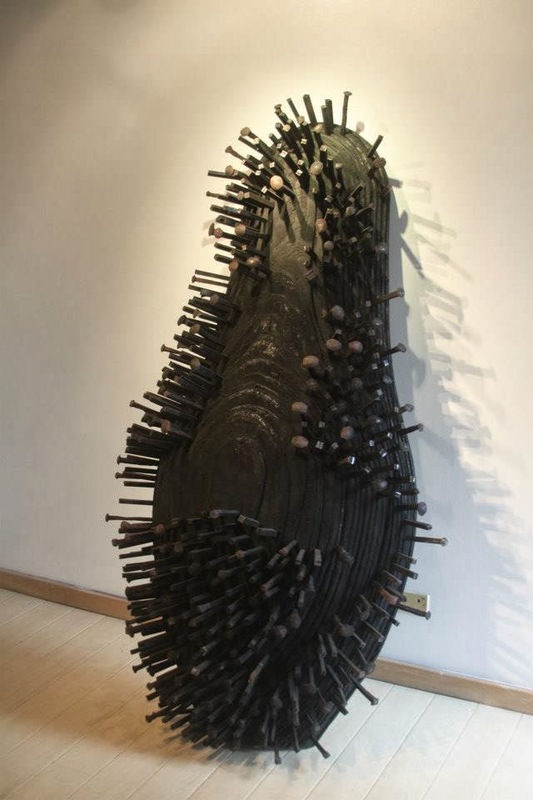 Walsh, a lecturer at the Bermuda College, focuses on large-scale installations many of which are rendered in cardboard, wood or other natural materials and interact with, or on which the environment in which they are placed. Face2Face is Inspired by the famous Bertelli’s masterpiece, which eighty years ago represented its time with a sculpture. Now, the designers of Henry&Co studio have honoured Bertelli with this object which can be used both as a stool or a small table, depending upon how it is arranged. This project was developed and coordinated by Henry&Co studio, which collaborated with two master craftsmen of Verona: Torneria Ghelfo, who was responsible for the wood turning and Carmagnani Lucidatura who was responsible for the finishing touches and the painting of the objects. The material used to create the Face2Face is lime wood sourced from the central Europe. A natural wax has been applied directly to the wood as finishing touch rendering it protected to enable it to maintain its characteristics over time. 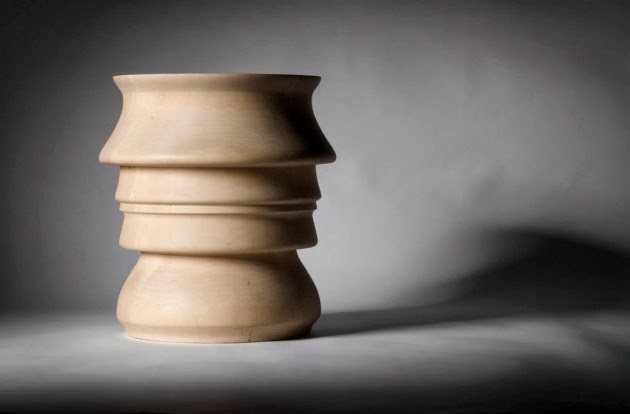 The objects can be stacked when not in use to become an expositive totem made up of impersonal faces. 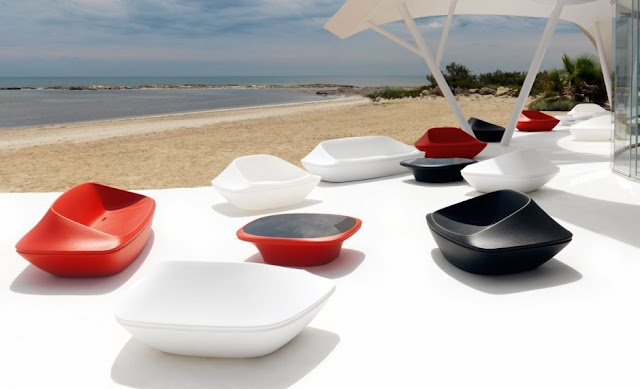 This is the UFO collection which was designed by Ora-Ïto for manufacturer Vondom. 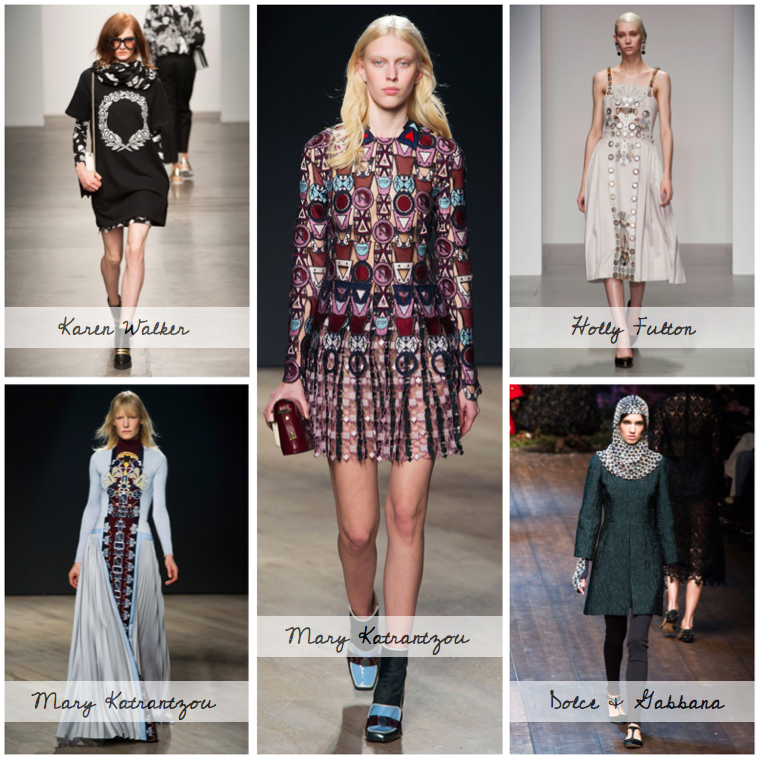 The inspiration for the collection was playfully dubbed as a result of a “genetic mutation experiment” between pagodas and UFOs and is characterised by the opposition of negative and positive shapes. The resulting forms are a Marta Pan inspired monolithic - both fluid and sculptural at the same time - and encourages comfort and relaxation. Following fast on the heels of its Topshop collaboration and undoubtedly with an eye on the FIFA World Cup which is scheduled to take place in a few months' time, adidas have also joined with Brazilian Brazilian label The Farm Company to produce this tropical line of apparel and shoes is intended to blur the lines between sports and street style. 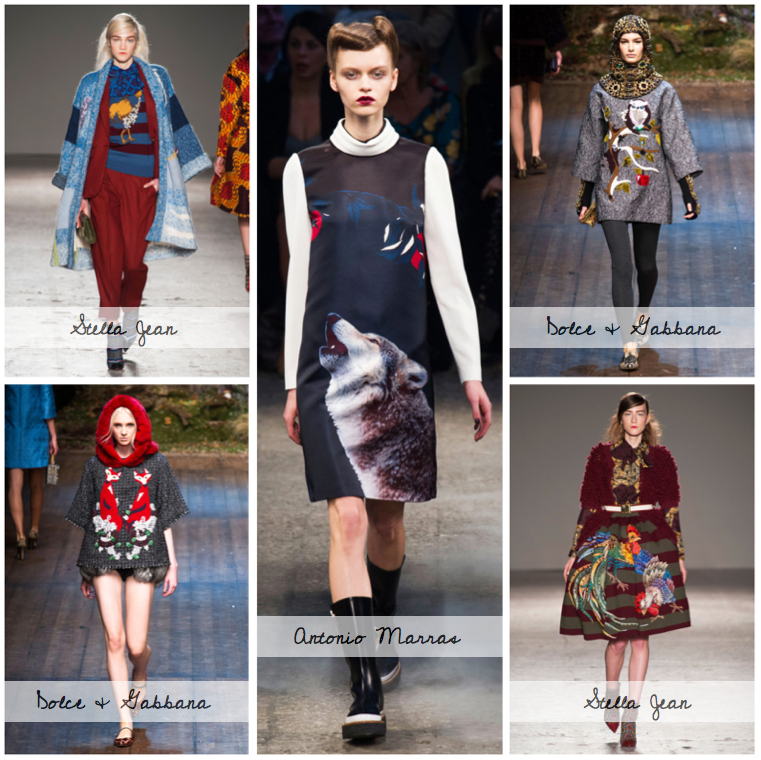 The collection features four colourful prints which are the signature of The Farm Company and is available now. 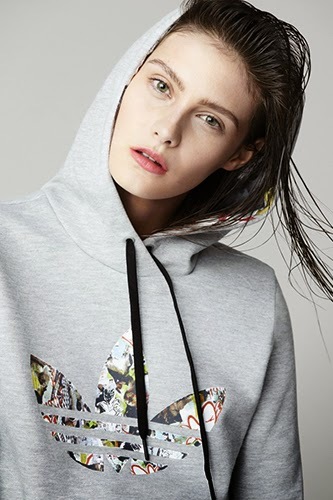 Launched last month, adidas Originals has teamed up with UK high street brand Topshop on a spring-summer 2014 collection. The range includes 20 pieces of sports-inspired apparel such as tracksuits, hoodies, sweatshirts and footwear featuring the brand's signature three-striped trainers, which have been reimagined in abstract graphics. We always look forward to the launch of IKEA's PS line as it represents the more innovative end of the brand. The result of a three-year process, this time around IKEA took a group of fourteen young designers from around the world including Matali Crasset, Rich Brilliant Willing, Scholten & Baijings, Tomas Alonso and Margrethe Odgaard and gave them the mandate to create furniture and accessories to suit youthful urbanites who have to make do with smaller living spaces. 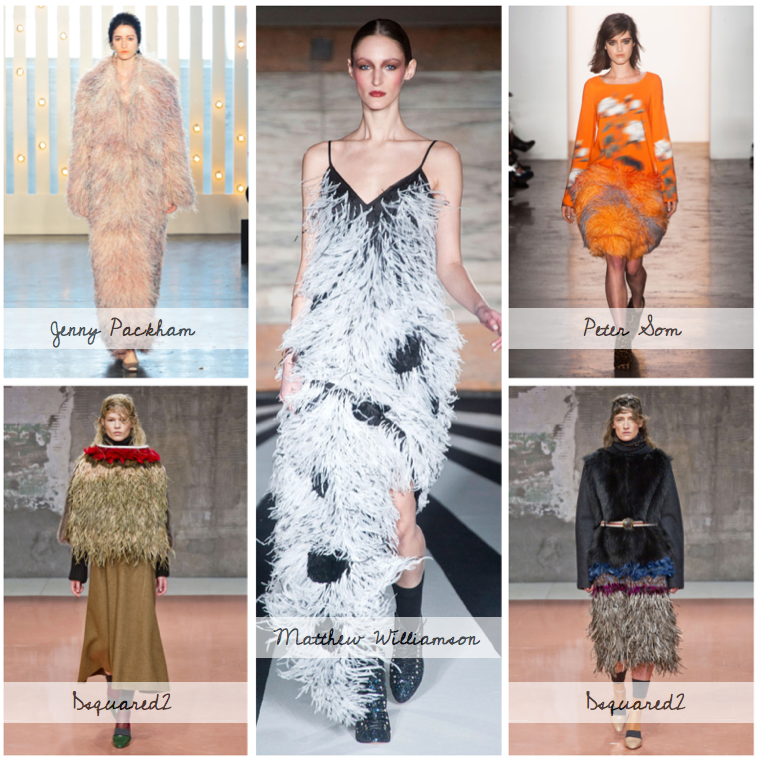 Called "On the Move", the angular-looking collection was whittled down from a staggering 200 initial designs to the approximately 40 which comprise this collection. 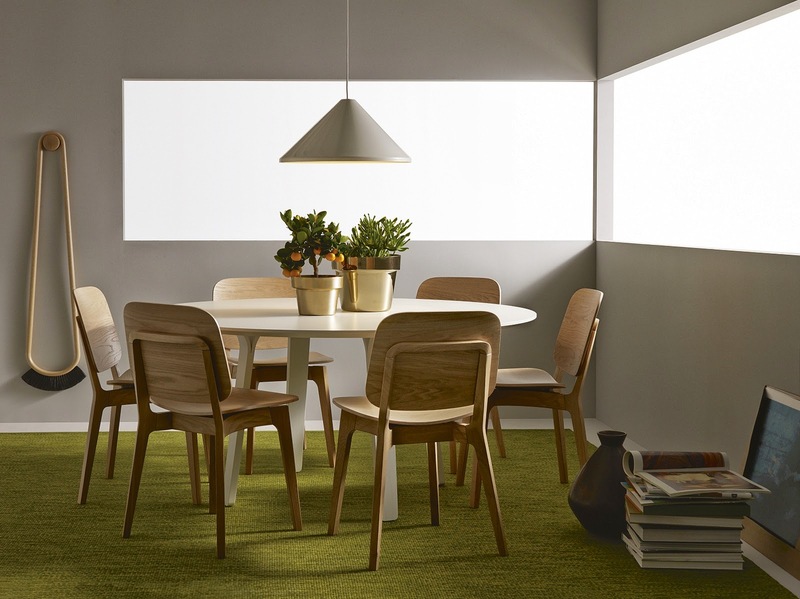 The IKEA PS 2014 collection offers a range of items that are multifunctional in design and includes seating, lighting, accessories such as plant stands and tables as well as storage units, all of which are designed to be lightweight, flexible and mobile.